There’s no secret that Pokemon Go is one of the most popular games ever created, especially for mobile. However and quite naturally, as with every popular game, to protect its community and the fair play, Niantic is taking cheating very seriously, issuing quite some large Pokemon Go ban waves. As we very well know, the larger the ban wave, the more chances for false positives to happen, and as usual, quite a few players will end up banned unfairly. 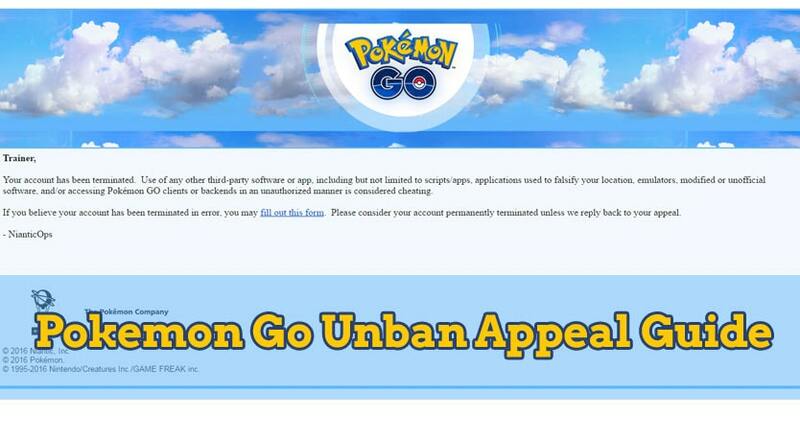 With that in mind, we decided to cover this step by step guide on how to submit a Pokemon Go unban appeal, in the unfortunate event of getting banned from Pokemon Go. Before we get into it, let’s go over the reason for which you can get banned from Pokemon Go. What can get you banned from Pokemon Go? using a rooted or jailbroken mobile phone. Although some of you might believe that using a VPN to play Pokemon Go is a bannable offense, you’d be happy to hear that it isn’t. As long as you’re not changing the actual GPS coordinates, you’re safe to play behind a VPN. As you might already know, there are 2 types of bans you can receive in Pokemon Go, namely a soft ban (or catch flee ban), and a temporary or permanent ban. Both the soft ban and catch flee ban merely prevent you from doing certain things in game, for a while, such as catching Pokemons or spinning PokeStops, while the suspension and permanent ban are basically restrictions from being able to log into Pokemon Go altogether for a while or permanently. Although a while ago you were able to remove your own soft ban by spinning PokeStops for a while, all you need to do nowadays is wait it out, somewhere between a few hours to a day. On the other hand, permanent bans are actually what their name suggests, a permanent ban from Pokemon Go, on that particular account. Which brings us to the purpose of this guide, namely how to submit a Pokemon Go unban appeal. So, let’s see how we can do that, in the unfortunate event of getting permanently banned from Pokemon Go! 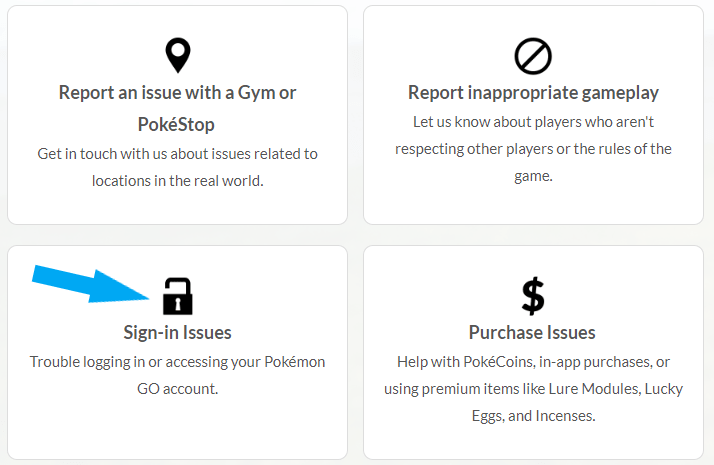 The entire Pokemon Go unban appeal form will take place on the Niantic Support website, so make sure you get on it. 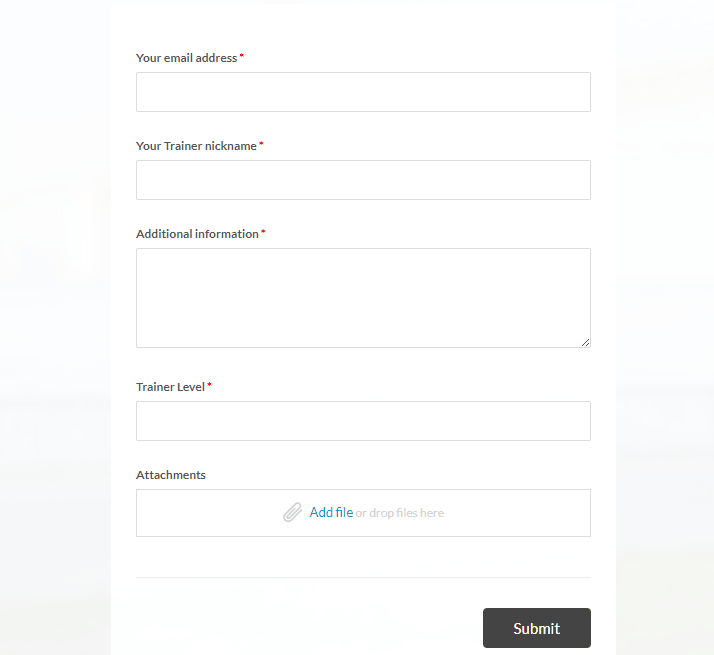 Now, for the actual Pokemon Go unban appeal, namely the “Additional information” field, that’s where we come in handy, should you require our professional and customized Pokemon Go unban service, designed to get you unbanned from Pokemon Go. Once you’ve completed the form for your Pokemon Go unban appeal, press the Submit button, and your ticket will be sent to Niantic Support! Now all that’s left to do now is wait until Niantic reviews your Pokemon Go ban appeal and get back to you with their reply via mail. As a hint though, make sure to check the Spam folder as well! Can you get unbanned from Pokemon Go? This is one of the most asked questions, whether or not you can get unbanned from Pokemon Go. To answer it, yes, you can get unbanned from Pokemon Go, although that of course doesn’t mean that you will. However, if you do choose to give our services a try, your Pokemon Go unban chances will increase simply because we will do our very best possible to provide you with the defense you need in order to get your Pokemon Go account unbanned. Below we’ll attach two of the many happy customers we’ve helped get unbanned from Pokemon Go. 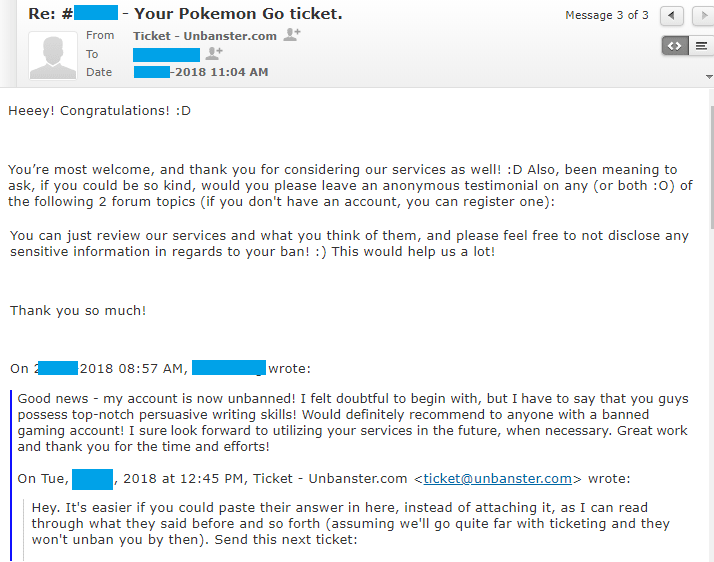 So, bottom line is, whether you’re getting your permanent Pokemon Go ban removed altogether or just changed to a temporary suspension, you can indeed get unbanned from Pokemon Go, and thus, it’s definitely worth contacting Niantic in order to appeal for your Pokemon Go account unban! Need help with a banned Pokemon Go banned account? We're here to give you the best help in order to get your Pokemon Go account unbanned!